These beautiful backgammon checkers are made in Greece from quality olive root wood with perfectly smooth finish on both sides and a finger dish design. The diameter of these checkers is 1 inch and they are 1/4 inch thick. 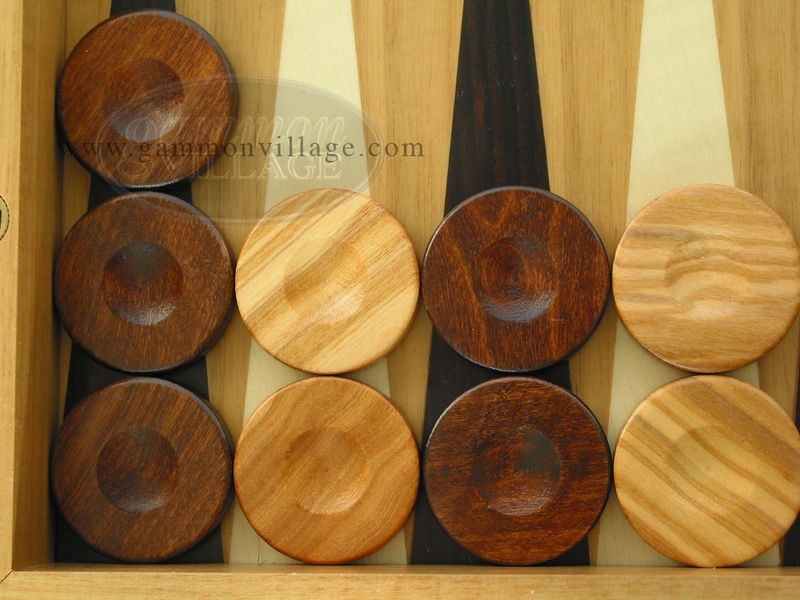 This set of 30 wood backgammon checkers comes in brown and natural colors. If you are looking for simple long lasting checkers, these wooden backgammon stones would be just perfect for your board. Page P5256 Copyright © 1999-2019 GammonVillage Inc., USA. All rights reserved.